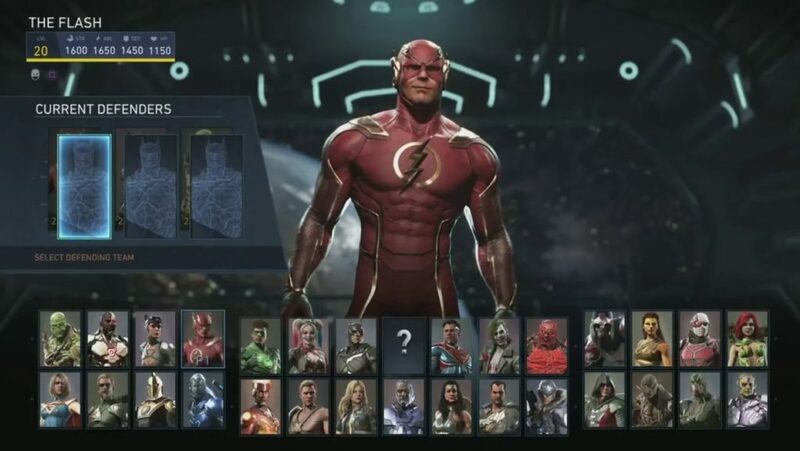 This page contains an introduction to the AI Battle Simulator Mode Guide of Injustice 2. Click here to go to our Injustice 2 wiki page for more character guides, gear database, and tips and tricks! If you are looking for a really easy way to earn experience and loot boxes, it is highly recommended for every player to head over to the AI Battle Simulator. All you need to do is assign three heroes as a team of computer controlled defenders. Players actively seeking out random AI battles will be pitted against your team. You don’t have to do anything besides setting your AI Team. You will be noticing that once you logged into the game (after leaving it for a couple of hours), that someone has battled your team. Farm XP in “AI Battle Simulator” Multiplayer Mode. These are simulated matches that you can speed up (they can run at x4 speed so the matches are very short). You don’t have to play any of these matches. The characters will be AI controlled. It is highly recommended that you get a Turbo Controller or Arcade Stick with turbo function for this. Simply let the game sit for a few hours while turning the game on turbo by using the X button. The good thing is that you can level 3 characters at the same time with this (because this mode has 3 matches in a row and whoever wins 2 out of 3 wins). You will be able to max out 3 characters for every 8 hours. That would be 9 characters per day in the best case scenario. Just turn on the Turbo before going to sleep and let it sit overnight. When you wake up you should have 3 characters maxed out. With 28 characters total, it will take a little over 3 days to max out all of them. You just need to change your 3 characters every 8 hours or so. If you don’t have a turbo controller you can still make good use of this mode. Just keep tapping X from time to time while doing other things, or watch the simulated matches and speed them up. It grants you free XP without the hassle of needing to fight every battle.